CAIRO, April 3. /TASS/. Algeria’s Constitutional Council has declared the presidency vacant, Sky News Arabia reported. The Constitutional Council’s meeting was held under Article 102 of the country’s constitutio, which says that “in case of the president’s resignation or death, the Constitutional Council holds a meeting and announces that the president’s post is vacant.” After it is done, the parliament appoints the president of the Council of the Nation (the upper house of parliament) as the country’s interim president who will not be able to run for president. Under Algerian laws, he will be able to serve as interim president for no longer than 90 days. A presidential election needs to be held within that period. Abdelkader Bensalah, the current President of the Council of the Nation, has become Algeria’s interim president. Abdelaziz Bouteflika, 82, served as Algerian president between 1999 and 2019. In early February, the country’s ruling National Liberation Front nominated him to run the April 18 presidential election. The second member of the pro-presidential alliance, the Democratic National Rally party, supported the decision. The initiative triggered mass protests in the country. 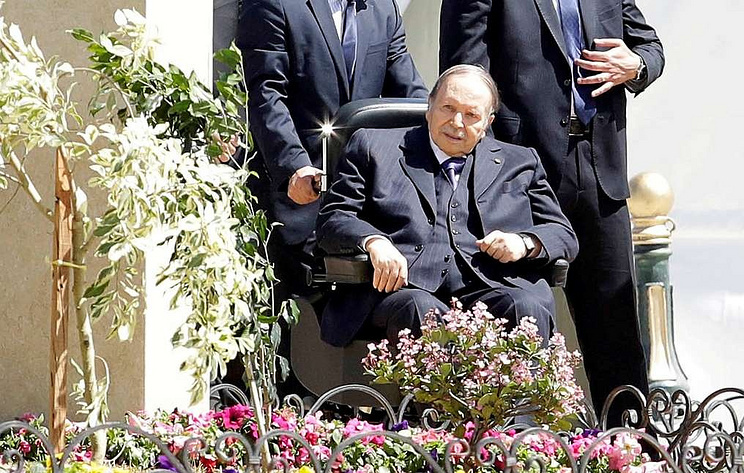 The poor health condition of Bouteflika is one of the reasons behind the protests. On March 3, Bouteflika’s official statement was released, in which he said that if elected, he would call an early presidential election, refraining from taking part in it. He also pledged to arrange a nation-wide referendum to adopt a new constitution. However, the leading opposition parties and movements rejected the president’s initiative. On March 11, Bouteflika withdrew his bid for a fifth term in office and postponed the election. On April 2, Bouteflika informed the Constitutional Council about his decision to step down as the head of state. “I made this decision consciously and of my own free will, seeking to calm the hearts and souls of my fellow countrymen and let them work together to help Algeria progress towards a better future, which is their legitimate desire,” Bouteflika said in his message. Hey Buddy!, I found this information for you: "Algerian Constitutional Council declares presidency vacant". Here is the website link: https://russophile.org/algerian-constitutional-council-declares-presidency-vacant/. Thank you.